Following a testing – and at times bruising – encounter in the League Cup last week against Crewe Alexandra Ladies that went the full distance, it was a patched-up league leaders that returned to bread-and-butter action today away versus Rotherham United Ladies. The game was only eight minutes old when Emily Ridge opened the scoring. Racing through, following good build-up play involving Chloe Wilkinson and Lia Lewis, she slotted past the advancing goalkeeper in a one-on-one. Her sixth goal of the season came as she had been on the pitch for less than two minutes, replacing the unfortunate Stacey Garnham who limped off with an injury. That early goal proved pivotal in allowing TNS to control the game. This was something that proved beneficial, as Steph Taylor then had to leave the field of play following a freak accident that left her with an arm injury. Always a threat, TNS had to wait until the 44th minute for their second goal. An innocuous foul conceded near the halfway line saw the Rotherham keeper misjudge the resultant free-kick. Returning the ball, Chloe Wilkinson saw the bounce go over the keeper and – much to the delight of all those there from TNS – into the back of the net. The goal came at a very important time, allowing the ladies to regroup at the break 2-0 to the good. A disciplined and well-organised second half team display kept TNS on the front foot. Having missed a number of chances to extend their lead it was captain, Charlotte Canlett, who made the game safe by adding the third. As she weaved her way in from the right-hand side beating two players, the defence retreated, as she eventually found herself advancing towards the area. Unleashing a left-footed drive that went over the despairing Rotherham goalkeeper, TNS were firmly in the driving seat. 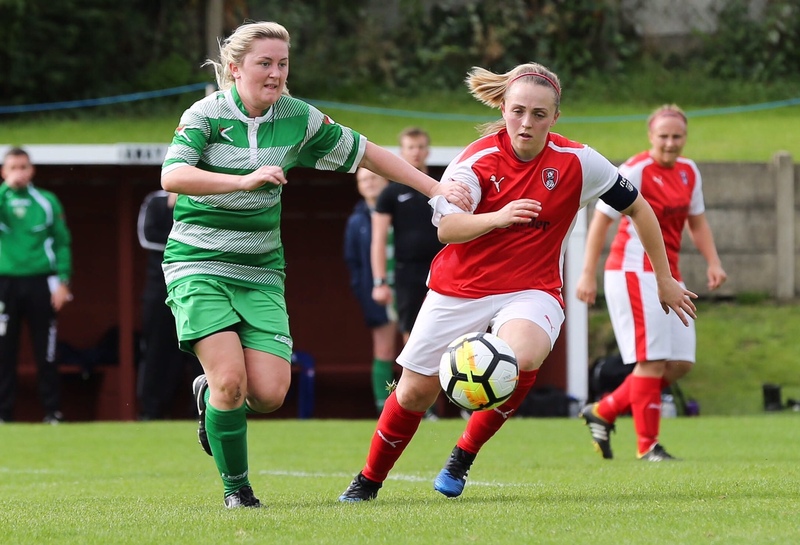 Rotherham reduced the arrears with a route-one goal less than five minutes later, as the Saints’ defence was caught looking for an offside decision that never came, with the forward despatching her shot in style. The Rotherham management was spurred to change formation, pushing more players up front as they played the last half-hour with three, and then four, forwards. However a confident defensive performance saw TNS Ladies over the line. 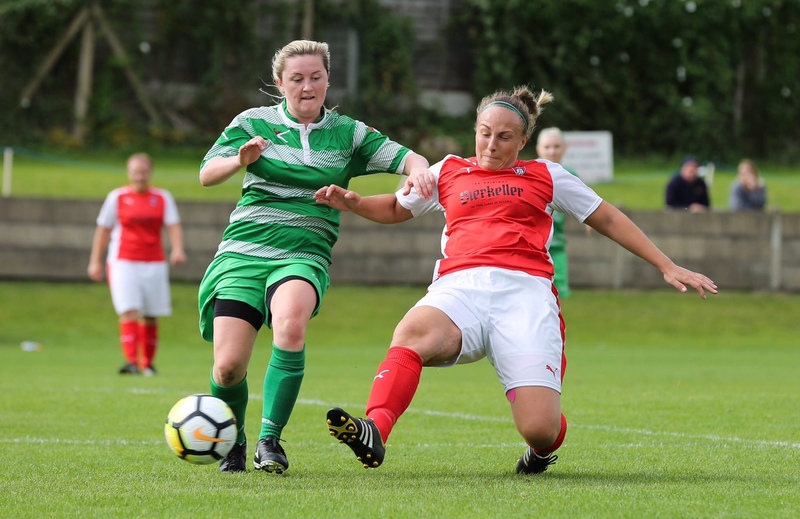 It’s now three out three in the league for the Saints, with a ten-day break before their next league game away at Sporting Khalsa Ladies – ten days during which they will be hoping those niggling injuries that several are carrying, will heal.